Mike King, who has a long career of operating fitness centers, is bringing a Workout Anytime here. It will open in July at the former location of the Marion Pack & Post in Suite 14 at 500 N. Main St. in the Marion City Square. This space in the shopping center is going through a renovation into the newest fitness center for McDowell County. Based in Atlanta, Workout Anytime is a 24/7 fitness center with 100 locations across the United States. 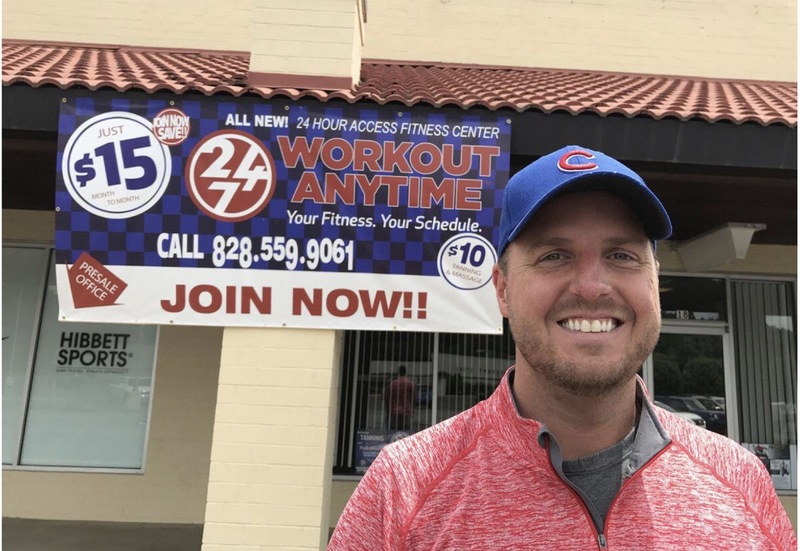 Founded by fitness veterans John Quattrocchi and Steve Strickland, the company was “formed to provide members with first-class fitness facilities at the lowest cost possible” while delivering a profitable business model to franchise owners,” according to a news release. “Our Mission is simple: to provide the most convenient, first class fitness experience, open every hour of every day, with the best equipment, superior service and cleanliness, in a neighborhood atmosphere where everyone knows your name,” reads the company’s Website. The gym will be staffed from 9 a.m. to 9 p.m. and it is expected to have 10 employees. Members will get a keycard so they can access the building anytime, whether it is staffed or not. King said, “this will make it easy for people to work out and exercise before or after work. Or if they prefer to do it late at night, they can access it then too.” “And when you join Workout Anytime in Marion you will be able to access any of the others across the United States by using your keycard”, said King. “When you join one, you join them all,” he added. Inside the fitness center, members will be able to use all kinds of exercise equipment such as treadmills, exercise bikes, weights and benches and spaces for working out. Workout Anytime’s equipment comes from Matrix Fitness, which has received more awards for innovation than any other brand. “Matrix Fitness equipment is characterized by superior industrial design, innovative ergonomics and high-end tubular construction,” reads the Website for the company. There will also be rooms for tanning and hydro massage. The facility comes complete with locker rooms and showers for men and women. The gym offers three levels of membership and there are no contracts. King and his staff have set up a temporary office next to Hibbett Sports in the Marion City Square where they are signing up new members now while the old Pack & Post space is undergoing the renovation. And now, you can get a charter membership for just $1 to get started. Randy Trotter is the senior vice president of development with Workout Anytime. His company is looking to expand into small communities like Marion.“There are 10 million people in North Carolina, with a lot of small- and medium-sized towns where we thrive in,” he said. “Throughout the region, there are underserved markets with little competition so we can grow almost anywhere in the Carolinas. 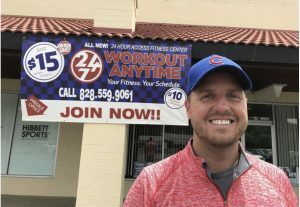 We’re currently looking at growth more along the coast.” Trotter added, King’s background in the fitness industry makes him a natural fit for the company. King states that he plans to open a Workout Anytime in Asheville, which does not have one. He and his partner Jefferson McBride also want to open a third one in 2018.